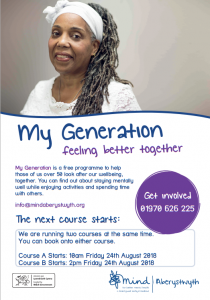 Our next My Generation courses will start on Friday 24th of August. We will be running two separate courses at the same time. Course A will start at 10am and Course B will start at 2pm. You can book onto either course completely free. Get in touch via phone, email or in person to book a place! For those not familiar with the course, it takes place over 8 weekly two-hour sessions. 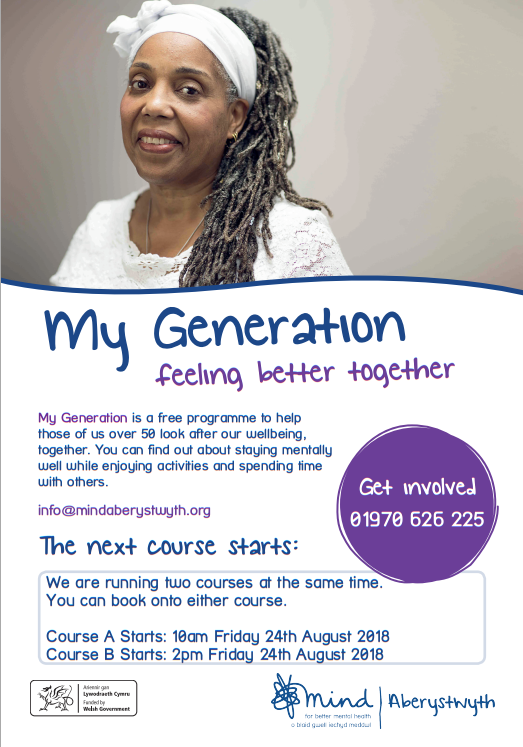 It’s aimed at people over 50 and is focused around some of the mental health challenges faced by this age group, with sessions on topics such as grief and mindfulness. Participants also get to try a taster of a wellbeing activity, such as art or music therapy!